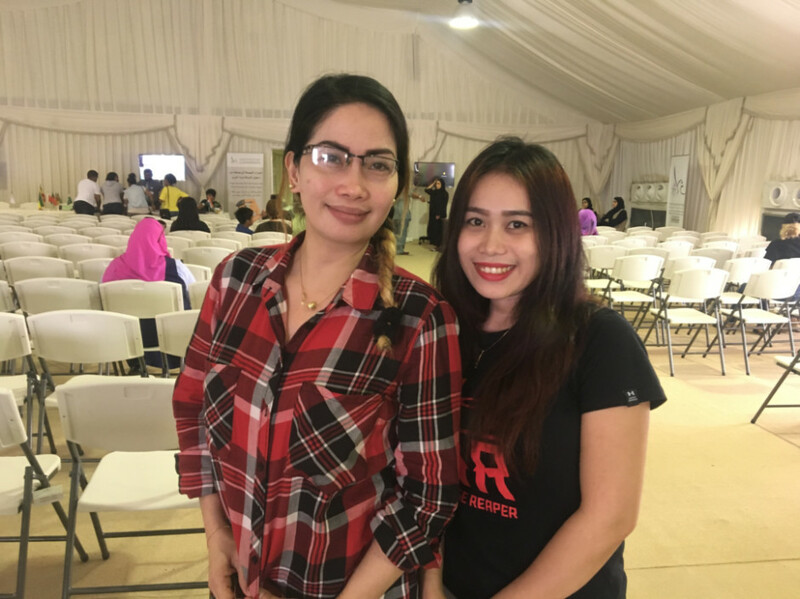 Dubai: Keen to rectify their status as illegals, Cecile Asna and Noor Haya took the first opportunity to come to the General Directorate of Residency and Foreign Affairs (GDRFA) at Al Aweer. “We were illegals only for three months because our company fudged our status,” said Asna and Haya, both from Mindanao island in southern Philippines. The girls started working as janitors for a professional cleaning company in Dubai in 2016. They left the company, which was in the process of closing down, in April this year. “Our visas were cancelled and we had a month’s grace period to find a job. Another company hired us and promised us visas,” Haya told Gulf News on Monday. They worked in the company till July when they got alarmed that their visas had not been processed. On checking, they realised that they were listed as illegals and had fines against them. For the past week, the women have been taking the early morning bus from their accommodation in Al Ain. “We are not looking to return home. I am a single mother and have a 16-year-old daughter. I am hoping that after I pay the Dh521 fine, my status will be regularised and someone will give me a job,” Cecile said. Both girls have completed grade 12 and are trained in sales and waitressing. “After we are regularised, we will get six months to find another job. Right now we are surviving on odd jobs, some savings and charity from friends,” added Haya, who is optimistic about finding a job and repaying back the kindness of friends and neighbours. The UAE Government will grant a six-month visa for amnesty-seekers who want to stay back and search for jobs. It is the first time that amnesty-seekers are getting such a temporary visa to aid in their job hunt.